Officers are currently at the location and assessing the car. GREATER MANCHESTER POLICE (GMP) are evacuating the area around a car which they believe to “significant” to the investigation of last week’s terrorist attack. Police investigating the attack on the Manchester Arena last Monday in which 22 people were killed said they had discovered a car at Devell House, not far from Banff Road in Manchester. There is a 100m cordon in place around the area and people are being advised to avoid there. Police are evacuating the entire location and have asked the public for their cooperation and understanding. “We are working closely with our partners to ensure public safety and to relocate people while we carry out this precautionary measure to ensure everyone’s safety,” police said. Detective Chief Superintendent Russ Jackson said that the discovery of the car was “potentially a significant development in the investigation”. “We are very interested in anything people can tell us about the movements of this car, and who was in it, over the past months,” said Jackson. We are also interested in any information about who may have had access to the car or who may have gone to and from it. 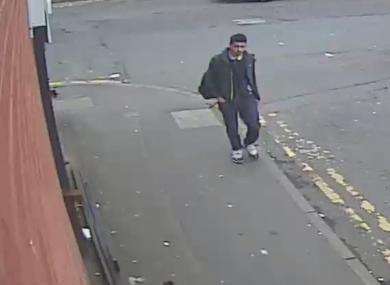 Earlier, police released new CCTV images of suicide bomber Salman Abedi in a bid to gain more information from the public about his movements before he detonated the bomb at the Ariana Grande concert. Police are still unsure how and when he acquired the parts to make the bomb, and do not yet know why Abedi went to an address at the Banff Road area in Rusholme, or who he spoke to there. By releasing images of Abedi at other locations, police hope to jog the memory of someone who may have information that could help them with their investigation. Jackson said that GMP continued to make “significant progress” in the investigation. He said: “What we still need to understand is if he had any of the bomb parts in his possession before he went out of the country, this is why we are tracking his movements so carefully. We have had police officers conducting house to house enquiries but we are still not satisfied why Abedi went [to Banff Road] and its vital we understand exactly where he went there and who he spoke to in these final days before the attack. Jackson urged anyone who may have called them before to call again. “We need your help as we piece together what happened in the lead up to the attack and if Abedi was helped by anyone,” he said. He added that any information someone has “may be insignificant” but it could be essential to the case. Meanwhile, a star-studded lineup will be performing on Sunday at the city’s Old Trafford cricket ground to raise money for families of the victims of the attack. The “One Love Manchester” gig at the city’s has already attracted acts including Katy Perry, Coldplay, Justin Bieber, Pharrell Williams, Miley Cyrus, Take That, Usher, Little Mix and One Direction’s Niall Horan. Last night, Robbie Williams and the Black Eyed Peas were announced as also booked for the concert. Proceeds from the Sunday’s concert will go to a fund set up to help the victims’ families. Performances at the 50,000 capacity stadium will kick off at 7.15pm and will be streamed online and broadcast by the BBC. Tickets went on sale Thursday, selling out within six minutes, with website Ticketmaster reporting “incredible” demand. Organisers have announced that anyone present at last month’s deadly concert will be able to attend the tribute concert for free. Email “Manchester police evacuate area after 'significant' car found”. Feedback on “Manchester police evacuate area after 'significant' car found”.